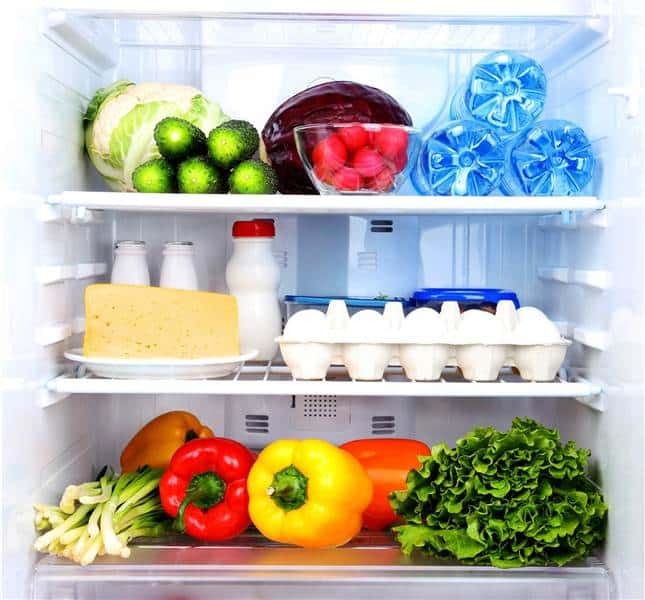 A healthy fridge makes for healthy meals and snacks, and a bit of preparation goes a long way to a happy healthy week! The ideas below are designed for those people who like the idea of meal prep, but doesn’t want to commit to the same meal day-in day-out. Each weekend, prepare the following and get set for some delicious and quick meals for the rest of the week- no excuses here! 1. Quinoa- cook up 1.5 cups in 3 cups water until soft 2. – Mix ¾ cup cooked quinoa with 1 cup pumpkin and 1 cup green beans. Add in ½ cup low fat fetta and top with some chicken. – Chop up 1 eggs, ½ breast chicken, mixed steamed greens and ½ cup brown rice. Pack into a small container- ready to go warmed or cold. – Take ½ cup brown rice and mix with baked salmon/chicken, spinach leaves, steamed greens and sliced avocado and dress with ½ tbs mayonnaise mixed with lemon juice. -Whisk 5 eggs and set aside. Mix 1 cup quinoa, 2 cups of mixed vegetables (greens and roasted veg) in a bowl then transfer into lined baking tray about 4cm deep. Pour over eggs, salt to taste, and baked for 20-30 minutes or until eggs are booked through. – Mix 1 tin of tuna, a handful of baby spinach, 30g fetta and ½ cup roasted vegetables and stuff into half a heated sweet potato. – 1 chopped boiled egg, 1 chopped piece of fruit, chopped veggie sticks, 2 tbs dip of choice and a piece of fruit. Enough bits and pieces.